I posted a chalkboard sign that I created for my sister-in-law in the post before this and thought I would show off a few more items that I created for her classroom. She requested that I create black/white images to save on color printer ink and she can print them at work. She is planning on using pops of red throughout her classroom to go with these items in things like red bins, totes, binders, bean bags, etc. The items that I created for her include binder cover pages, team group signs to hang from the ceiling, name signs to put on each student's desk, 4x3 labels for bins, small and large banners and a thank you card. 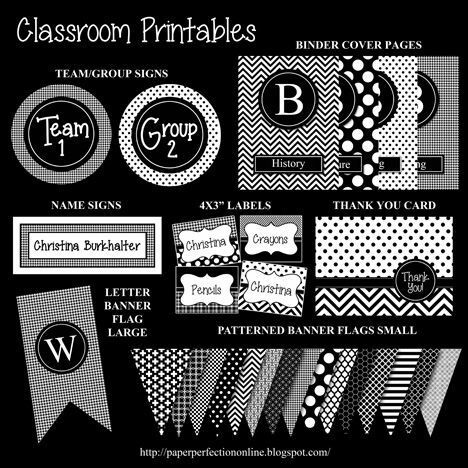 If you need printable items to pull your classroom together in the fall, contact Paper Perfection at jtanddolly@yahoo.com for pricing and details. These can be created in any colors. 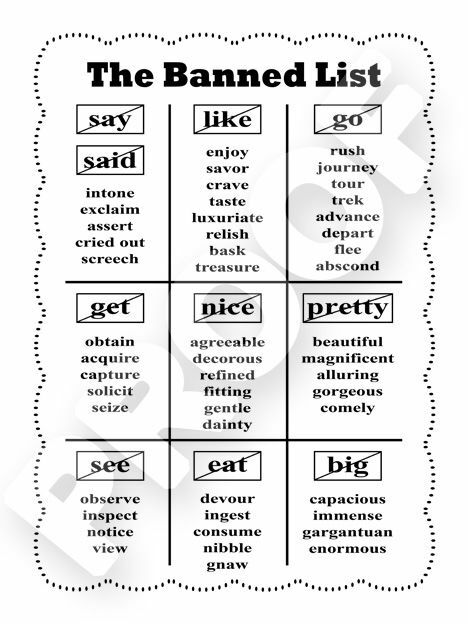 Here is another sign I created for her classroom to ensure that students do not used her "banned words" when working on their creative writing projects.